Much loved and much anticipated the Christmas lights at 69 Milton Street Leamington will be turned on, for Christmas 2008, in a couple of days. 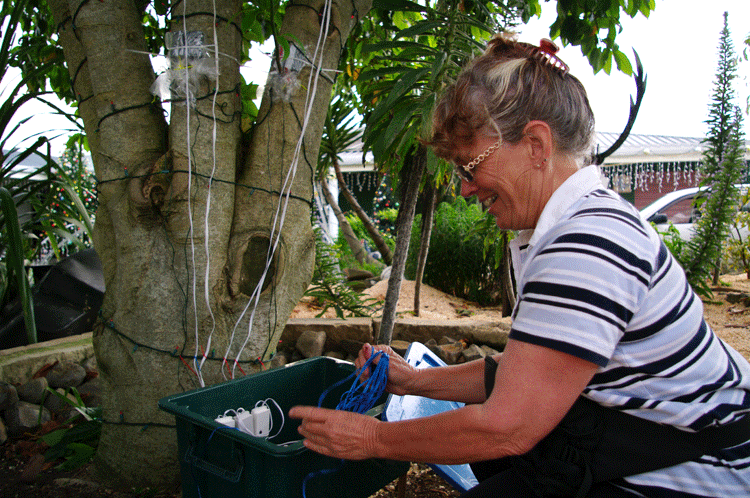 Four weeks in the setting up and over 18000 lights later Judy’s gift to the community is visited by hundreds each year. And hundreds.